One man and his crew of thieves are targeting some of Detroit's hottest spots. Police say Willie Wright and his crew terrorized the city – night after night breaking into Detroit's most popular spots. Wright was arrested last week in Indiana, but after a paperwork error, he was accidentally released instead of being extradited to Michigan. That big boom is exactly why the U.S. Marshals say Wright and his crew of thieves target Detroit’s most popular restaurants. Those restaurants include Mudgie's Deli, Union Street Bar, Batch Brewery, Lady of the House and more. Wright is 33 years old, 5-feet-10 and 310 pounds. 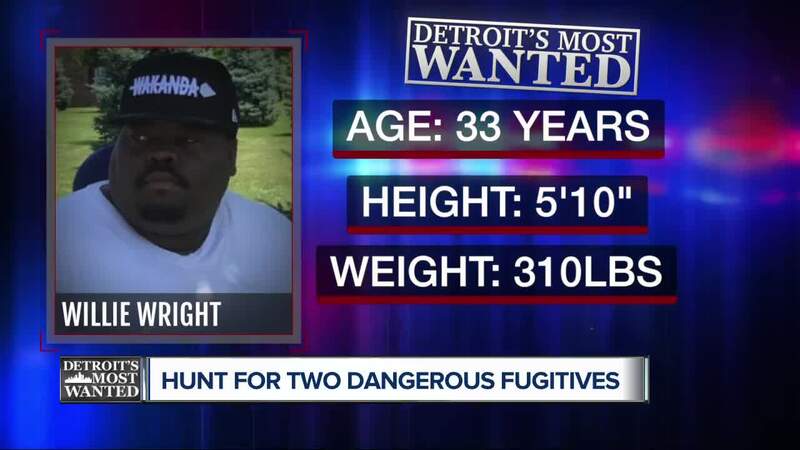 Marshals believe he is in the Detroit area, specifically the east side near 7 Mile and Gratiot or Chalmbers. You can call the U.S. Marshals anytime at 313 234 5656.